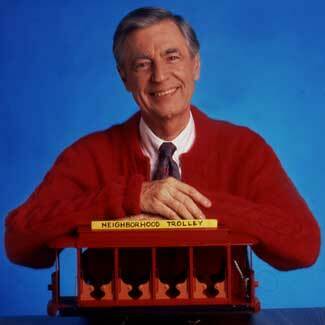 Fred McFeely Rogers was a neighbor and friend of mine for all of my life. I never had the honor of meeting the man, and he had no idea who I was, but that didn’t matter; he cared about me and thought I was special. That was something I knew. A week ago, March 20th, Mr Rogers (and all of us) would have celebrated his 83rd birthday. He died back in 2003, but the care, concern, and deep love he had for all of us remains. As a reminder here are just a few glimpses back at this quiet and remarkable man. ONCE UPON A TIME, a tong time ago, a man took off his jacket and put on a sweater. Then he took off his shoes and put on a pair of sneakers. 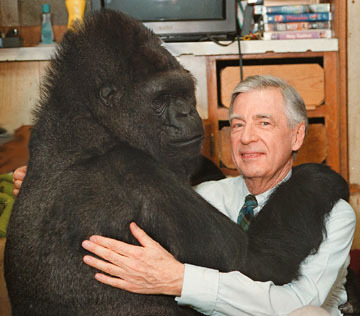 His name was Fred Rogers. 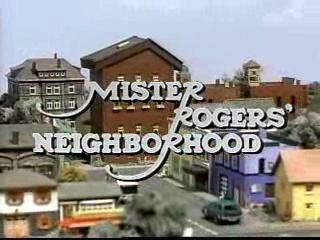 He was starting a television program, aimed at children, called Mister Rogers’ Neighborhood. He had been on television before, but only as the voices and movements of puppets, on a program called The Children’s Corner. 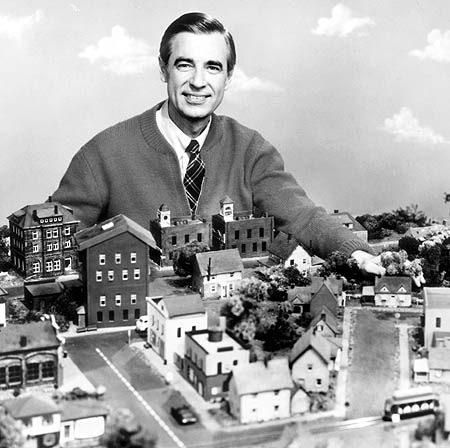 Now he was stepping in front of the camera as Mister Rogers, and he wanted to do things right, and whatever he did right, he wanted to repeat. And so, once upon a time, Fred Rogers took off his jacket and put on a sweater his mother had made him, a cardigan with a zipper. Then he took off his shoes and put on a pair of navy-blue canvas boating sneakers. He did the same thing the next day, and then the next… until he had done the same things, those things, 865 times, at the beginning of 865 television programs, over a span of thirty-one years. 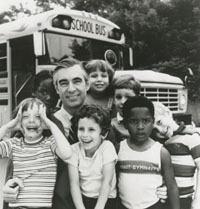 I could devote this entire blog to this wonderful, and wonder-full, individual and the works he did, but it would be just restating the things that other friends have written and recalled, so let me just include a link to The Fred Rogers Center at Saint Vincent College, and a well-cited wiki page so you can learn more on your own. 10. He Was an Ivy League Dropout. Rogers moved from Dartmouth to Rollins College to pursue his studies in music. 12. He Was a perfectionist, and Disliked Ad Libbing. He felt he owed it to children to make sure every word on his show was thought out. 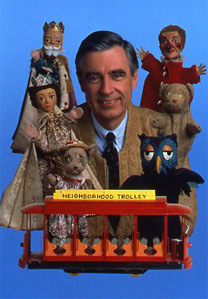 Mister Rogers with King Friday XIII, Queen Sara Saturday, Prince Tuesday (one of only two characters that aged), Lady Elaine Fairchilde, Henrietta Pussycat, X the Owl, and of course, Trolley. 13. 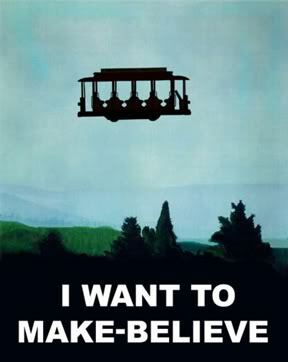 Michael Keaton Got His Start on the Show as an assistant — helping puppeteer and operate the trolley. 14. Several Characters on the Show are Named for His Family. Queen Sara is named after Rogers’ wife, and the postman Mr. McFeely is named for his maternal grandfather who always talked to him like an adult, and reminded young Fred that he made every day special just by being himself. Sound familiar? It was the same way Mister Rogers closed every show. Every one of the cardigans he wore on the show had been hand-knit by his mother. Now go and look yourself in the mirror and say; “You are special just the way you are!” and then go tell someone else that too. Your neighborhood will be a little bit more beautiful because of it.